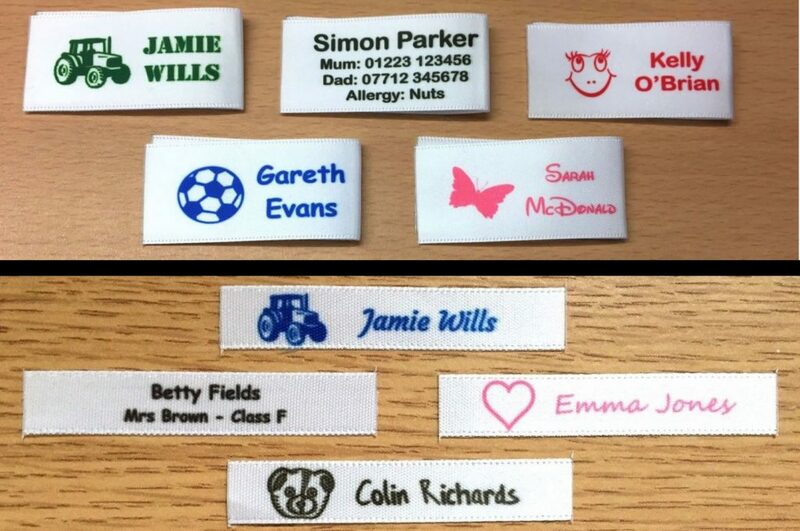 We supply a wide range of sew in labels for clothing, they can be personalised to your requirements and are suitable for all types of clothing. Additionally we also have several sizes of sew in label available such as 25mm, 10mm and more. Our sew in labels are ideal for both school and nursery children along with care home residents and best of all our labels are all fade free, durable and longer lasting and this means they can withstand all types of washing detergents including hot washing temperatures which are some times used in a care home setting etc. All of our labels are made at our production facility in Cambridge UK to your exact requirements and we have built up a good reputation for this, we won’t send you anything we wouldn’t be happy receiving ourselves. Over several years we’ve sold thousands of sew in labels for clothing to many hundreds of happy customers, because our production process is bespoke it allows us to offer many more personalisation options compared to traditional methods. Such personalisation options include full colour printing as well as 10+ fonts, 20+ solid print colours and 50+ optional motifs. Whether you are looking for a basic label for a child’s name and class number, you need a label for a care home resident or you making your own items and need a unique custom label it’s something we can definitely help you with. We can print full colour logos and also work with you, we always sending a preview of your label design before starting production to ensure it’s what you are looking for. Ordering is a simple process and we ship your labels in safe secure packaging via a prompt postal service e.g. Royal Mail 1st as we understand it’s important that you receive your labels quickly. We also save each design, so if you decide to re-order we can make and ship the exact same design as you had previously ordered. 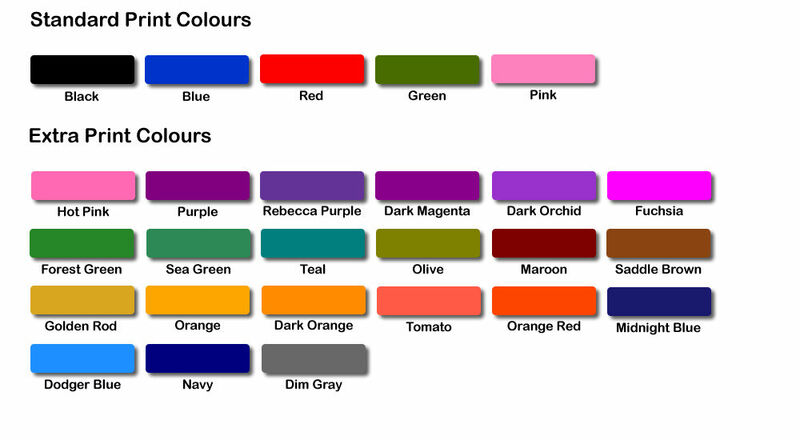 If you would like to find out more our sew in labels for clothing please click one of the links below.